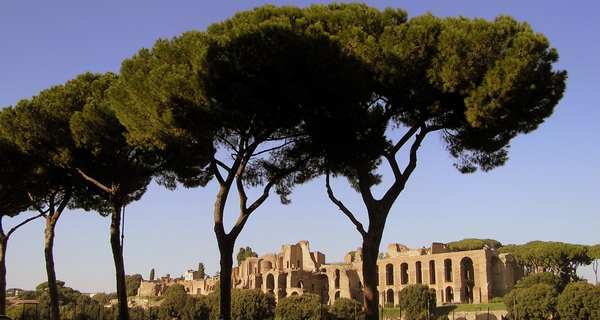 The Circus Maximus is another well known attraction from ancient Rome – located at the ‘Via Appia Antica’. The building was erected early in Roman history – in the year 500BC and over the centuries was expanded and reinforced. During its best years the Circus Maximus had a size of 600m length and 140m width and so covered a total area of 84,000 square metres i.e. almost 8.5 acres. 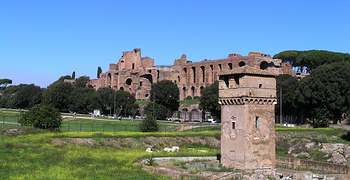 During its expansion phase under the reign of Julius Caesar the capacity of the Circus Maximus consisted of 145,000 seats that over the course of the century, amazingly increased to almost 200,000 seats – several sources even put this number to 380,000 seats. As a comparison the biggest modern stadium, built in South Africa for the 2010 football World Cup has a seating capacity for a total of 90,000 spectators. In any case it makes no difference which of the figures is actually correct as the fact still stands with either, that it was the largest entertainment building ever to be built by humans. Even modern sports stadiums can not be measured in terms of capacity against the ancient Circus Maximus. It is interesting to know that the Circus Maximus and the Colosseum are historically closely linked. The enormous Circus Maximus was a kind of precursory building to the Colosseum. In ancient Rome such large public buildings in which games, show-fights and sports competitions took place, played a huge role. Things such as wagon/vehicle racing – similar to the modern day Formula 1, were very popular. In the beginning, these large events were not as bloodthirsty as in later times and were paid for by individuals or by the emperor to maintain a good mood amongst the people. Over the course of the years the public taste became more refined and hence the next building to succeed was the Colosseum. However, if one is expecting to see an impressive building based on this splendid history then one will sadly be rather disappointed. The Circus Maximus has not been preserved nearly as well. Today at the spot where this huge complex of buildings once stood one will only find an open area with a few sparse wall remnants. Nevertheless it is worth a visit for those interested in the history of ancient Rome. The Circus Maximus is easily accessible by metro-line ‘A’, station Circo Massimo or via bus, route 118, bus stop Circo Massimo.